In the last couple of months, we introduced you to some awesome brand collaborations. Now, in the same fashion, we’d like to talk about one more. 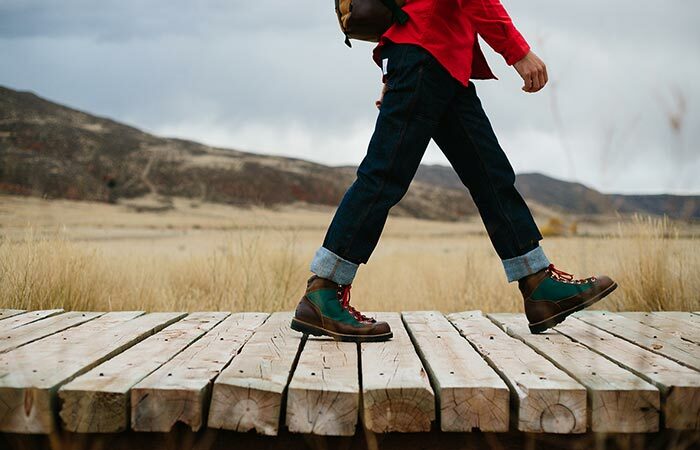 Danner Ridge is a limited-edition boot, a result of a collaboration between Danner and Topo Designs. 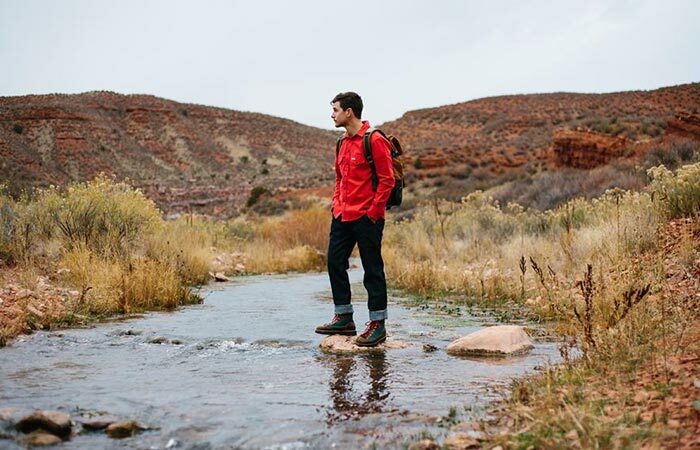 These new-style, 100% waterproof boots will keep you dry and warm in all sorts of extreme weather conditions. Also, they are easily combined with everyday clothes and thanks to the timeless design, they’ll never go out of fashion. The boots are made in Danner headquarters in Portland, USA. The design features a classic Danner’s lace-to-toe construction. As for the upper, it uses a mixture of Cordura textile and highly durable full-grain leather. 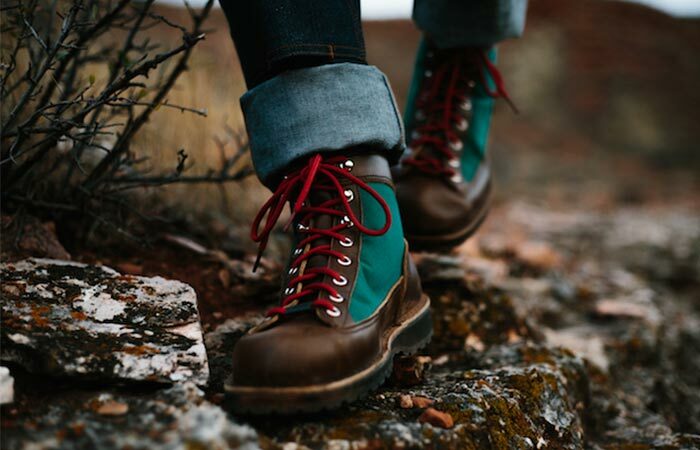 Even though they come with a classic Danner hiking boot aesthetic and well-known stitch down construction, they are 20% lighter. Because of a Bi-fit board construction instead of a shank, lasting board and midsole, they weight 46 oz per pair. 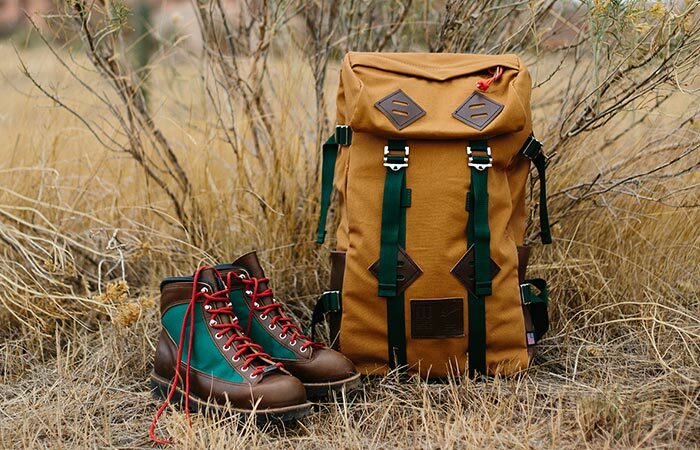 These tough boots are a result of Danner and Topo Designs collaboration. Removable cushion OrthoLite footbed will provide you with a walking-in-the-air feeling. But don’t let this fool you, they are tough. The construction we mentioned above combined with Gore-Tex liner creates a really practical combo since the boot is very breathable and will keep you warm and dry. Vibram Kletterlift thin outsole additionally helps with weight and height reduction. As for the height of the boot, it’s 5.5 inches. They feature a lightweight construction and the edition is limited. Topo Designs marked their presence with their awesome recognizable color. Two companies created co-branded emboss and you can find it on the boot tongue. This little detail will remind you that you have something quite unique. Finally, the collaboration resulted in one more item you can get- a Klettersack. The second item in a collection is a backpack. The boots are a 100% waterproof.